We describe here Sinaster petalon gen. et sp. nov., a new embryonic form from the c. 535 million‐year‐old Kuanchuanpu Formation of South China (Ningqiang, Shaanxi Province). 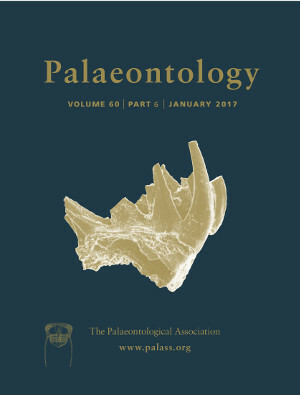 The excellent three‐dimensional, phosphatic preservation of these microfossils allowed us to use x‐ray microtomographic techniques to make accurate reconstructions of their internal structures and to compare their anatomy point‐by‐point with that of extant cnidarians and other animal groups. Sinaster petalon has anatomical features typical of extant Medusozoa (Cnidaria), such as coronal muscles, perradial and adradial frenula, interradial septa, accessory septa, gonad‐lamellae, tentacle buds and perradial pockets. Although Sinaster cannot be straightforwardly assigned to any crown‐group within Medusozoa, the presence of marginal lappets and endodermal lamellae suggests that it is closer to Cubozoa and Scyphozoa than to any other group of modern cnidarians. The tentative placement of Sinaster within the stem‐group Cubozoa is justified by the presence of a velarium supported by a frenulum. The cubozoan affinities of Sinaster are also supported by cladistic analysis.